At the end of a workout, there’s a tendency to want to head for the showers and rush back to the pressing issues of the day. 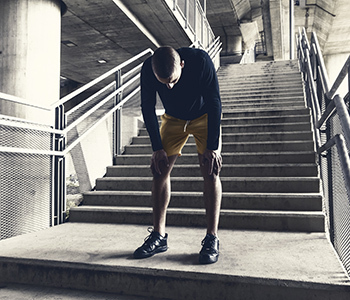 But, how you transition from a workout, via a brief recovery period, will determine how well your body repairs itself and responds in the coming days. That’s why Recovery is one of the four pillars of the EXOS system; along with Mindset, Nutrition and Movement. Use this simple checklist to kickstart your body’s recovery process — and get the most out of each workout. 1) Reflect: It’s important to recognize what you’ve accomplished with your training and how it contributes to your long-term vision. This is not just for your physical well-being and athletic pursuits but how such commitment is fueling your success. 2) Track: There’s no shortage of gadgets and smart phone apps to log training and measure progress. It can be a simple spreadsheet or even paper. The important thing is to track your workouts, not only to give yourself a pat on the back but also to have a reference point for the following workout, or to review months later. 3) Stretch: Active-isolated stretching is most effective after a workout when the muscles are warm. This can range from a full routine to three or four stretches that address any mobility issues you might have. You can also do some reflection while you stretch. What worked and what could you do better during the next training session? 4) Refuel: To refuel your body after a workout, consume a mixture of carbohydrates and protein immediately afterward, preferably within 10 minutes of training. At this point, your cells are wide open and screaming for nutrients, and by drinking a shake or another balanced carb/protein small meal, you expedite the recovery process and maximize lean muscle growth. 5) Cool Down: If you have access to a 55-degree “cold plunge” tub, spending 1 to 3 minutes in it is a great way to decrease post-workout inflammation. Alternating between a cold plunge and a hot tub (three to five minutes) stimulates blood flow and muscle recovery with hardly an effort. If you don’t have access to a hot tub or a cold plunge, you can get the same effect in the shower by switching between hot and cold settings.